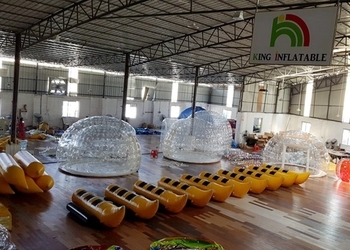 King Inflatable is a manufacturers with a trademark registration who has near 10 years experience in inflatable industry. 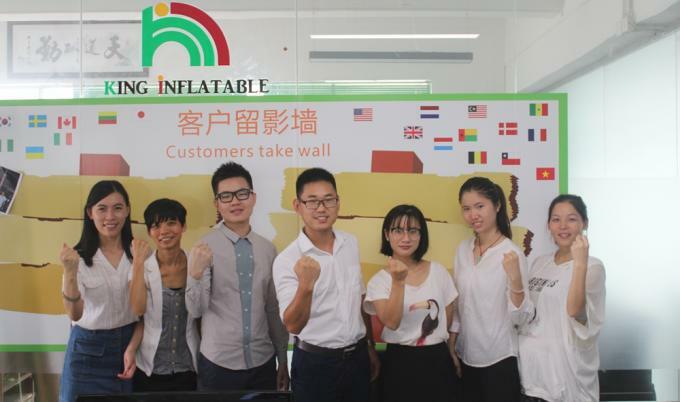 We were founded in 2012 and has about 10000 square meters factory facility.Integrating the research, development, production and sale, we have the best inflatable toy designers, skilled sewing workers , sealing workers and uniquely innovative products. We insist on our enterprise core value of "Integrity-based, service-oriented, quality to win, achieve win-win". Main inflatable in our production line for you ,wide range of choices ,like: Inflatable water park,Inflatable Bouncer, Inflatable Slide, Inflatable Tent, Advertising Inflatables, Inflatable Water Games, Inflatable Swimming Pool, Inflatable Obstacle, Inflatable Billboard, Inflatable Boats, Inflatable Combo, Inflatable Playland, Inflatable Shape, Inflatable Sky Dancer, Inflatable Sports, Inflatable water Slide and so on. 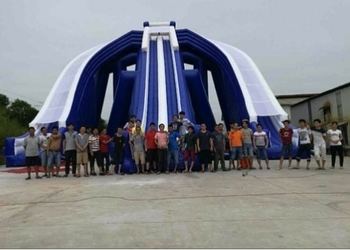 Top quality material are always applied on our inflatables, all of them are made from the best material suppliers in China - Plato chemical; all of the material meets EN-71 EN14960,SGS,EN71 certification.All the product is inspected by water-proof,fire-resistance,cold-resistant and pressure-resistance.Also,base on the perfect design, the raw material of our inflatables are cut out the by computerized automatic cutting system which can ensure the perfect shape of each products. !We will provide fast delivery, affordable prices and perfect after-sales services for new and old customers. 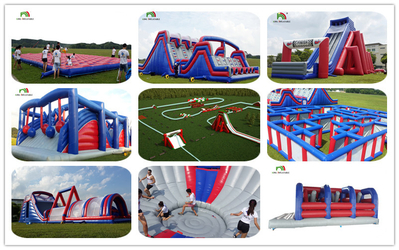 Visit Singapore (5K event) : Our factory has produced 5K inflatable products for the Singapore customer in 2015 , The 5K event has been held in Sentosa in March , 2016 . There are 11000 people attending the event. 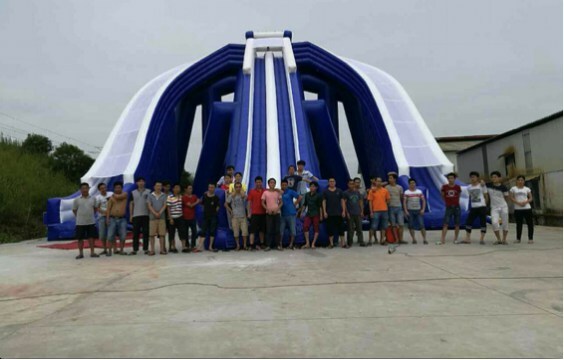 Visit Thailand (talking inflatable water park project) : Many clients have purchased a lot of water parks from our company . 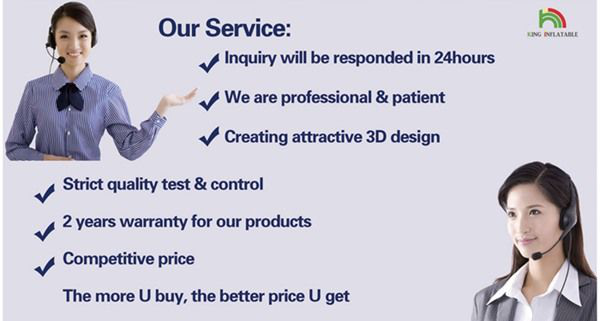 Before sale: With the best service for you to answer your every question. Make the related drawing for your reference, ensure machine which can produce what you want without any mistakes. But if can't, we will inform you as soon as possible. 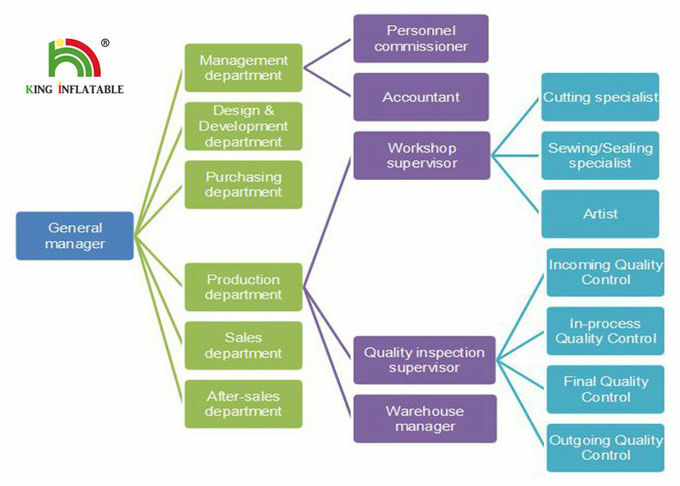 Middle sale: We will try our best to communicate with you and sovle your problem, if possible, welcome to visit our factory and we'll arrange person to pick up you. Once you place order, we will monitor the whole production process strictly. After sale: We will follows up your order, including package, shipment, time, insurance, installation etc. 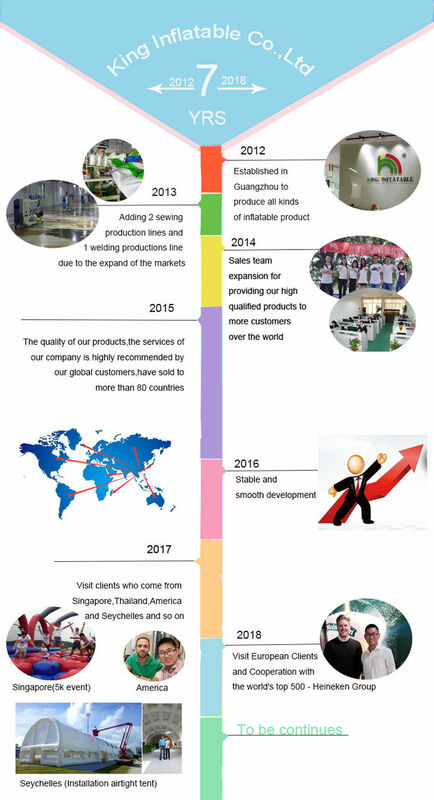 Of course, our machine will be guaranteed in 2 years after you received our products, we can provide installation video/pictures/engineers for you. 360 degrees service for you.